This Vintage 1960’s set of 5 Cera Golf The Basic Swing Green lowball rocks glasses, are in excellent like new condition. The only thing missing are the tags. The glasses are bright and crystal clear. This Vintage 1960’s set of 5 Cera Golf The Basic Swing Green lowball rocks glasses, are in excellent like new condition. The only thing missing are the tags. The glasses are bright and crystal clear. The design of a golfer taking the basic swing is clear, crisp and bright in green and white color. The base is thick and weighted with the Cera mark on the side. 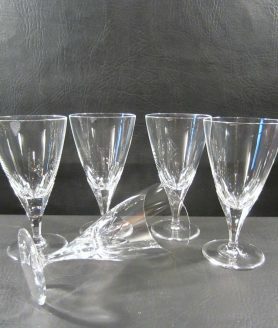 A great set to add to your current bar ware collection or use as replacements. Wonderful fun glasses for the golfer in your life! Excellent like new pre owned clean condition with no chips, cracks, or stains. They have some very minor marks (see picture). 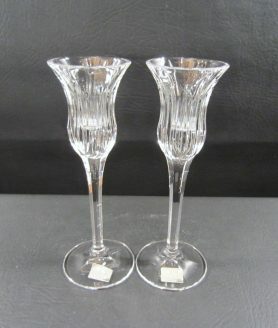 Add these to your bar ware collection today! Great! !